Our performances of "Amaterasu" at Hakataza Theater have come to an end. Thank you very much to everyone who came along. Following suit from the Tokyo ACT Theater concerts, we had a full house and standing tickets sold every day. 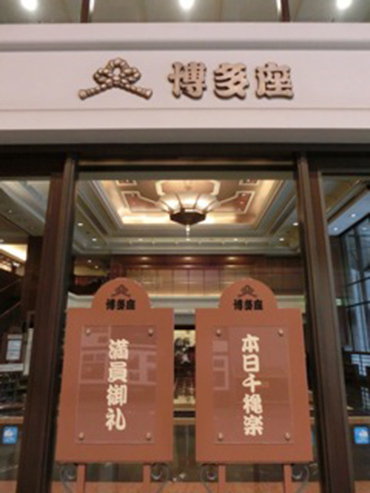 Next, we will be waiting for everyone in Kyoto for the performances at Minami-za Kabuki Theater. On a day off from our Hakataza Theater performances, a group of us went on an optional day trip to Takachiho in Miyazaki Prefecture to visit the opening of Amaterasu's cave. First we paid a visit to Amano Iwato Shrine, went to the shrine precinct where the cave is, and then on to Amano Yasukawara. This is the place where it is said that all the gods and goddesses gathered, so I really wanted everyone to see it. Afterwards, we paid a visit to Aradate Shrine. This is where Ameno-uzume and Sarutahiko are deified, a home to the gods of performing arts. Then we went to Takachiho Shrine. 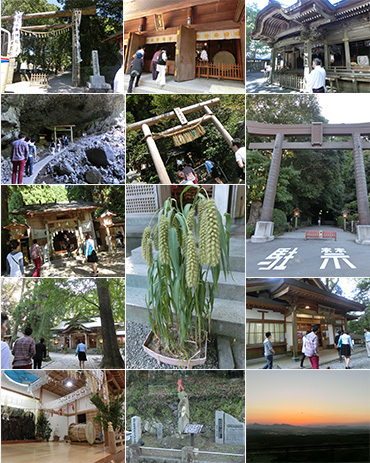 There are around 100 shrines in the town of Takachiho, and this shrine is said to be ranked the highest. In front of the main shrine there were crops that looked like offerings, and when I asked about them I was told that the locals brought foxtail millet there because it is a crop associated with huge harvests. When we paid homage at the main shrine, we saw the iron guardian lion-dogs made in the Kamakura Period (important cultural assets) and we were given an explanation of the various theories of Aun and this shrine's theory. There was a statue of Ameno-uzume at the entrance of Takachiho Shrine. It was a clear day on our pilgramage and on the way home we saw a beautiful sunset. Refreshed, we will do our best in the upcoming performances, too. Now on sale at our "Amaterasu" performances! This stole is a special double-weave version of the Imabari Towel gauze scarf, made from 100% cotton. The stoles are all handmade and only a limited number have been produced. When you come to see Amaterasu at Hakataza Theater, please visit the Kodo goods corner and have a look! Today is the first performance of "Amaterasu" at Hakataza Theater! We are looking forward to seeing everyone here! Yoshikazu Fujimoto, Yoko Fujimoto Guest Appearances in "Saikyou"
The 2nd "Saikyou" concert will be held this year in Osaka's Sakai City, featuring a brand new program. 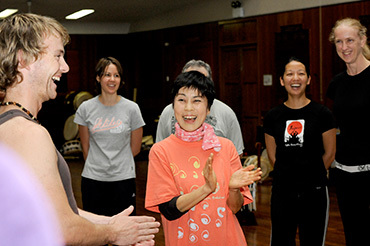 Yoshikazu & Yoko Fujimoto will appear with Miyakejima Geino Doshikai, Wachi Daiko Hozonkai, and local taiko group Wadaiko Miyako. 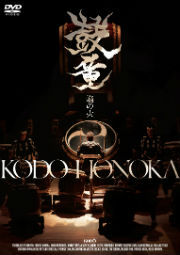 Come along and feel the power, thrill and fun of Japanese taiko with your eyes, ears, body and soul!